Launches are coming in thick and fast at the moment – thank goodness this one isn’t Christmas related! 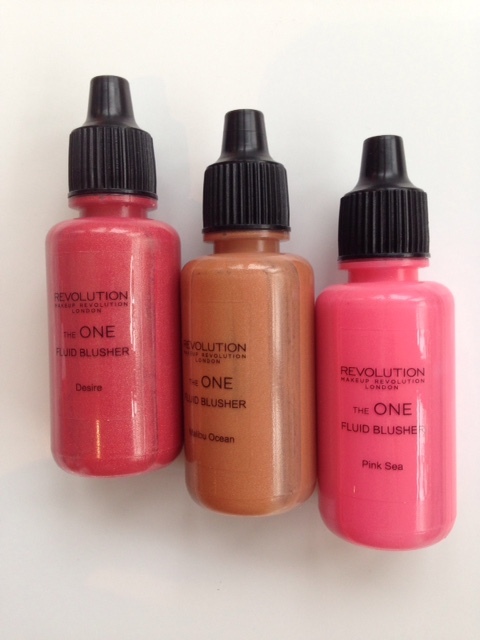 Makeup Revolution Fluid Blusher is easily one of their best launches. I’ll warn you ahead that the packaging isn’t great but the colours totally are. 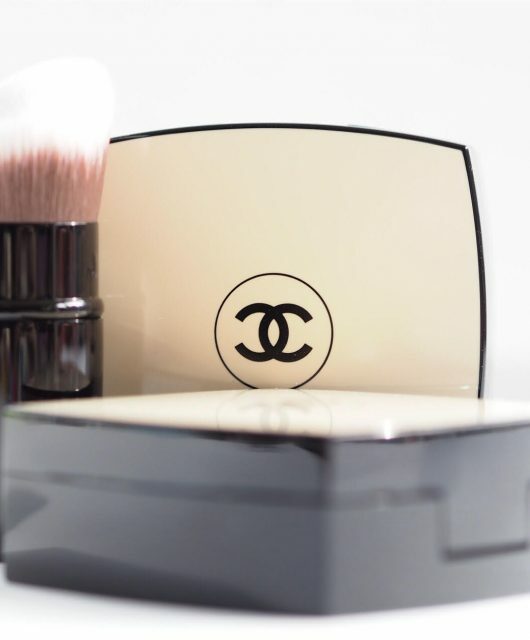 Fluid blush, if you’ve never tried it, is best applied by pouring a tiny bit into the palm of your hand and then quickly swirling a Kabuki (or similar) brush around you palm, then swirling it over your cheeks for a fresh and diffused look. 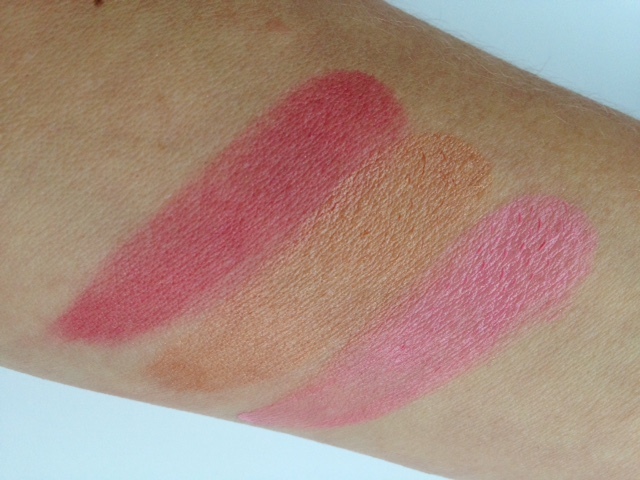 There are five shades – on this swatch it’s Desire, a raspberry pink, Malibu Ocean, a tan neutral, and Pink Sea, which is more of a candy pink. And I’ve used a tiny amount for these finger swipes, so you know to go cautiously and layer if needed. The next two (of five) are Pink Dew, a proper baby pink, and coral gold Rush Me. Aside from the very baby pink shade, I’d easily wear all of these (erm, not all at once!). In texture, they feel very oily – like an oily water – when they first come out of the bottle, but once on the skin, there’s not really any oily feeling at all. 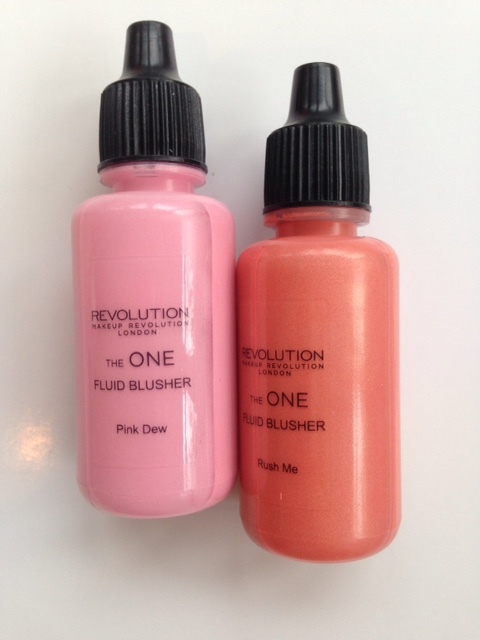 The Makeup Revolution Fluid Blusher needs to have good slip for blendability – and they’re brilliant for that – and what’s left is a really pretty, quite natural looking flush. For £3 a pop, I’m amazed at how great these are. You can find them HERE. Can you compare them to the Daniel Sandler ones? 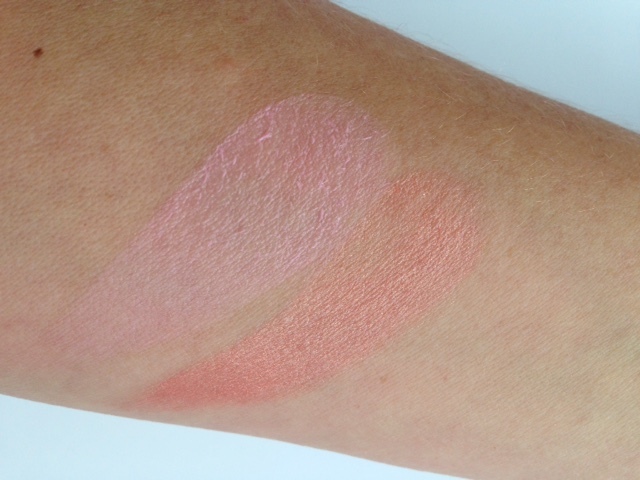 I really love the DS Liquid Blushes, as they look so natural on the skin! 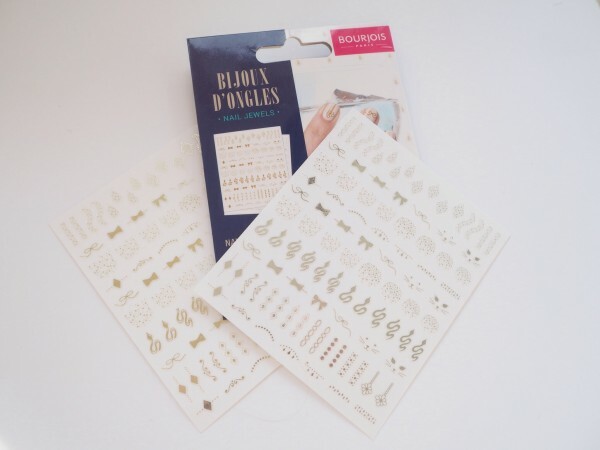 These are oil-free and use silicone – I don’t have the other product here so can’t do a like for like but they’re along similar lines – only much cheaper! Definitely going to try and remember to check these out! They have some great products, I really love how they give us affordable prices for products you would pay a lot of money for from other Brands! My fave at the moment is the I heart chocolate palette which a dupe for another Brand name palette, A lot more expensive than Makeup Revolution, I definitely want to buy these, Lovely Swatches too! I´ve got three of the MUR Intense liquid lacquer, but I think these fluids are less dense. 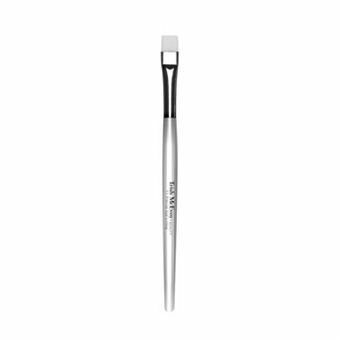 I will try it, of course.As a MUA , there are a fantastic option for my kit without spending a lot of money. Thanks!! Really reminds me of my Daniel Sandler Watercolour blushes that I love. At this price, I may have to try these! They really do remind me of Daniel Sandler blushes.. Swatches look amazing! 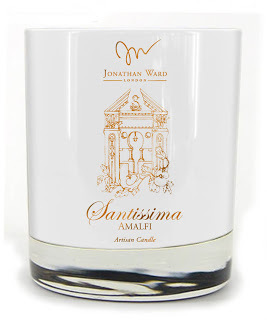 These look really lovely – and what a fantastic price! These are gorgeous! I can’t believe they are only £3! Ooh these are lovely… and at that price I can get them all! These look amazing and the colour options are great.